By definition, Geofencing is the use of GPS or RFID technology to create a virtual geographic boundary. This allows software to automate a response when a mobile device enters or leaves a particular area. We use this technology to create location-based marketing, so that you can more specifically target your audience based off of their past or present location(s). Providing consumers with relevant advertisements at the right time highly increases the probability of engagement. 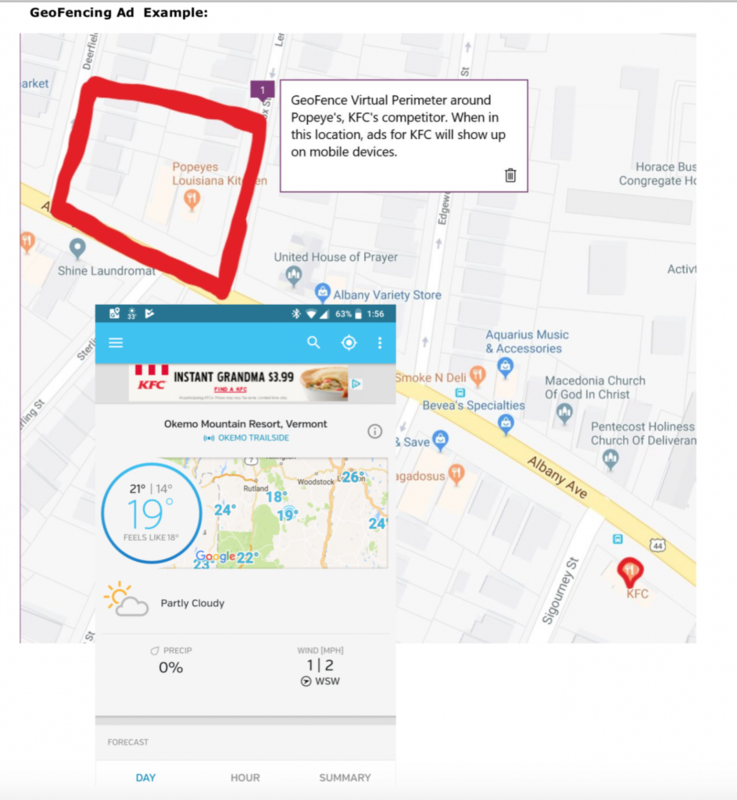 Instead of wasting time targeting individuals who have minimal interest in your product or service, Geofencing allows for more specific targeting based on locations your target audience frequents. Implementing location-based marketing hands you tangible data that can be used to generate helpful insights about your business.